Whether you’re boiling water for pasta, sautéing vegetables or searing meat, SUPERIORE rangetops feature power with four different types of burners. Our power burners operate at a maximum of 18,000 BTUs and can be scaled back to 750 BTUs for gentle simmering. Other options include our large 11,000 BTU burner, medium 6,500 BTU burner and small 3,600 BTU burner. Depending on the range, our cooktops feature from four to six burners for diverse cooking. 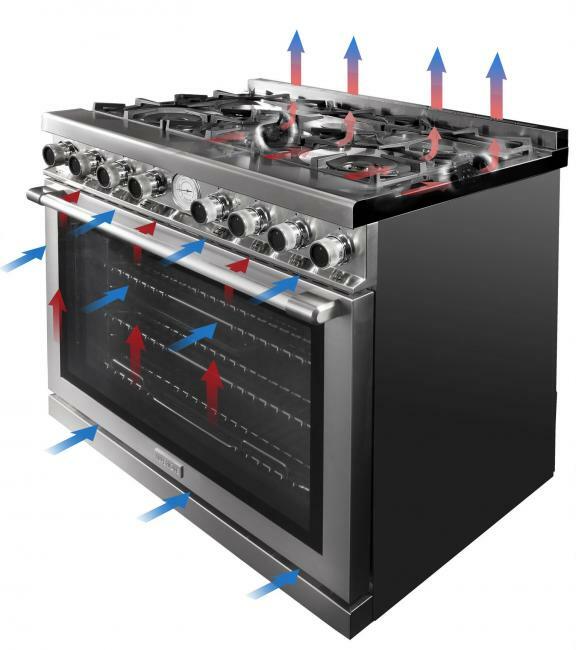 Each burner port is inclined and positioned towards the bottom of where a pot or pan would sit, minimizing heat loss and delivering professional cooking results. Made of brass, our burners are also highly resistant to heat and aging, ensuring reliability when cooking any meal for years to come. SUPERIORE integrates the best cooking technology to achieve maximum performance and our award-winning TriFuel™ range is one excellent example of this versatility. The TriFuel™ range combines different types of heat including four, easy-to-clean induction zones, two gas burners and an electric griddle. With a variety of heat sources and surfaces, SUPERIORE offers convenience and flexibility for cooking the simplest meals to grand feasts. 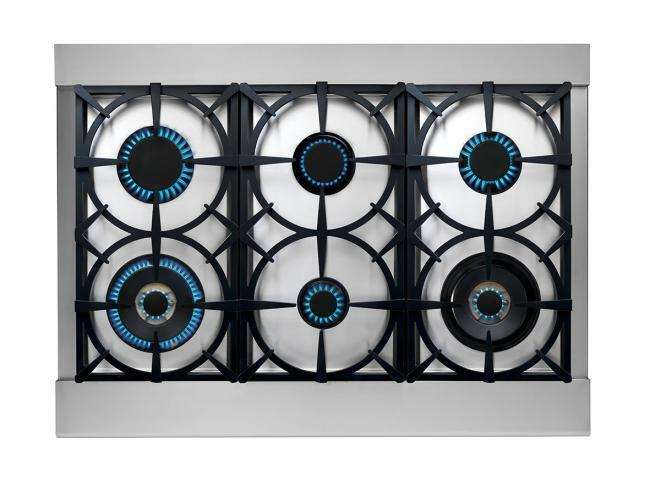 All SUPERIORE ranges are designed with our exclusive and unique Cool Flow System. By generating a flow of fresh air from internal fans, the Cool Flow System helps keep knobs, handles and exterior surfaces from heating up. This exclusive system ensures our products are safe for the entire family. SUPERIORE ovens provide a unique cooking experience for users. 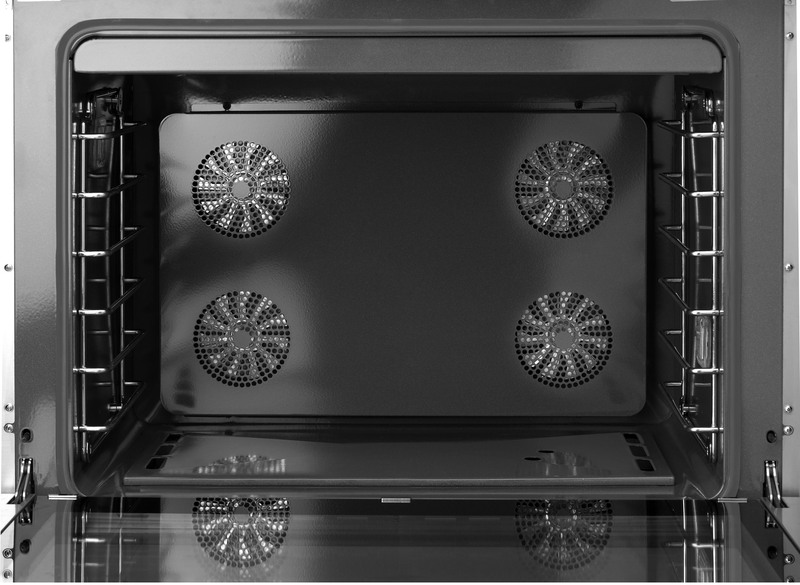 Our large capacity ovens, including up to four convection fans, guarantee even cooking every time. SUPERIORE oven doors boast triple-layered glass to guarantee thermal insulation and a cool-to-the-touch exterior window. Each oven door is designed with soft-motion technology, allowing it to be left open in any position and preventing slamming. 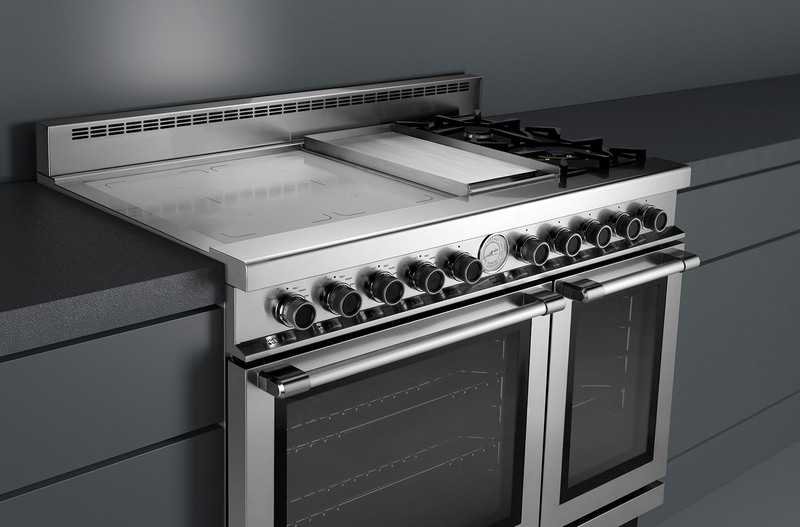 Enhance your experience further with one of our self-cleaning ovens, exclusive to the Dual Fuel range collection. For a more enhanced cooking experience, the new Home Chef System, available in our Duel Fuel range collection, allows users to customize their cooking experience. The Home Chef System lets users choose conventional time methods of cooking or achieve a SUPERIORE cooking experience with our meat probe to ensure perfect results.